With great power comes… earth-shaking rivalry? 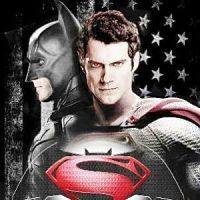 The two biggest superhero movies of the year — Batman v. Superman: Dawn of Justice and Captain America: Civil War — are introducing the masses to the tradition of hero-vs-hero fisticuffs. But comic book readers know that this phenomenon is nothing new. It’s so common that some heroes have fought again and again. And again. Sometimes it’s a difference of opinion or ideology. More often, one of them just gets pissed off at the other. Whatever the reason, superheroes are terribly eager to resort to violence when they disagree or get angry. Here we present ten of the most longstanding grudges within the superhero community, ten match-ups that have stood the test of time and aren’t going away anytime soon. Clark Kent and Diana Prince: the two most powerful heroes of the DC universe. In DC Comics’ original continuity, they were friends and teammates. In the New 52, which reset all of the old rules (such as Clark and Lois Lane’s love) they’ve been a couple. But now and then, circumstances have a way of forcing these two to fight one another. Much like Batman and Superman, DC’s writers seem to look for any and every opportunity they can to throw these two into a ring. Rarely is it an issue of principle or conflicting ideologies, although they do come from two very different worlds. Most of the time it involves one or both of them coming under mind control. That was the case in “Sacrifice,” a side story that was part of the (nearly infinite) buildup to Infinite Crisis. Another memorable throwdown came in Brian Azzarello and Jim Lee’s Superman: For Tomorrow, in which Wonder Woman attempted to stop Superman from undertaking a drastic action that he felt he had to do. More recently, in the first story arc of the New 52’s Justice League, Wonder Woman found out that Steve Trevor was being tortured by villain David Graves, and took out her anger on Superman and Green Lantern both. 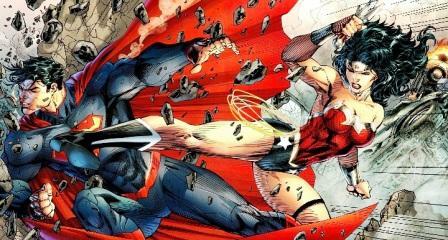 Anytime Clark and Diana get into it these days, Superman is more powerful, but Wonder Woman seems to have the edge because she’s a highly trained warrior. Look for this matchup to play out on the big screen at some point in the near future.